I have been wanting to make another purse from my favorite purse pattern for months. I even purchased several pieces of faux leather from Wal-mart when it was on clearance but just never got around to it. 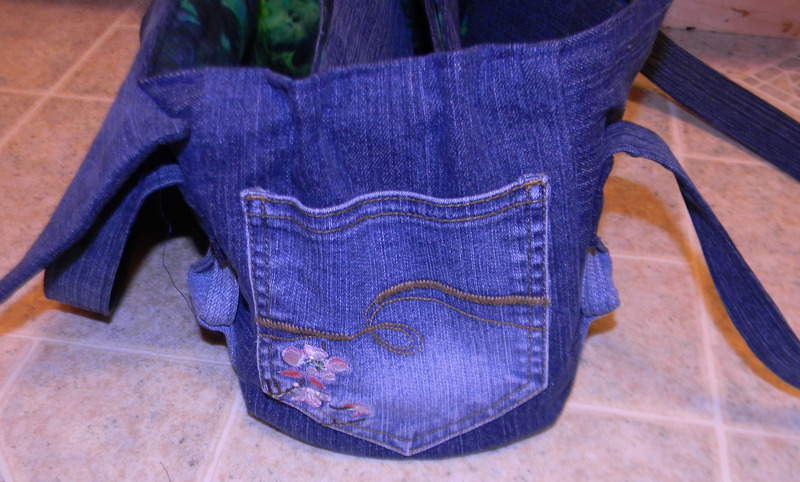 After purchasing several pairs of jeans for $2 each at a sale and making a skirt from them I decided to make my newest purse from these jeans. 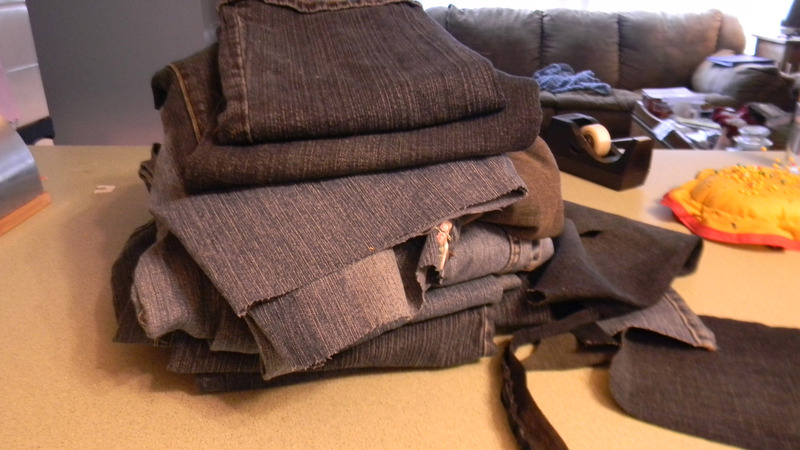 Cutting out the pattern pieces took a little longer than normal because I had to cut some of the jeans apart and see which pieces I could get out of what pair. I think it was well worth the trouble and cost very little. I used a piece of batik I purchased from Connecting Threads for the lining. 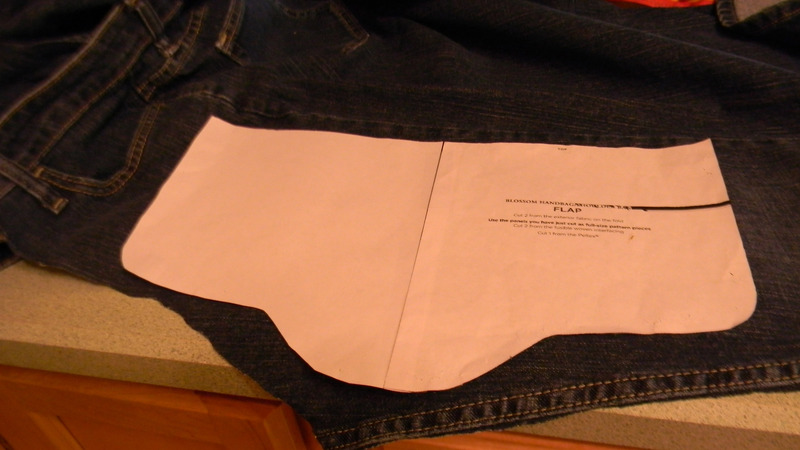 I cut 2 pockets off of 2 different pair of jeans and sewed them on the side panels. 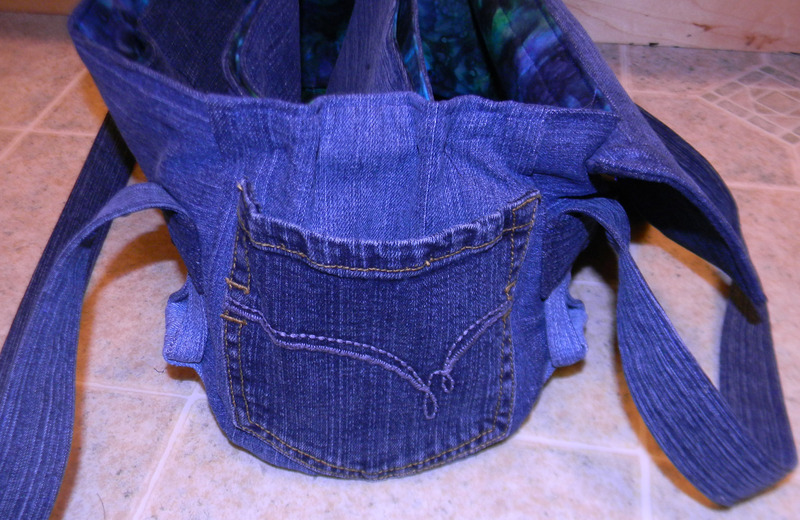 I also made an additional long pocket on the inside and sewed pockets for my phone, Ipod and credit card holder. This is a great pattern. The only error I found was that the side piece needs an additional 1 1/4 added to the top. 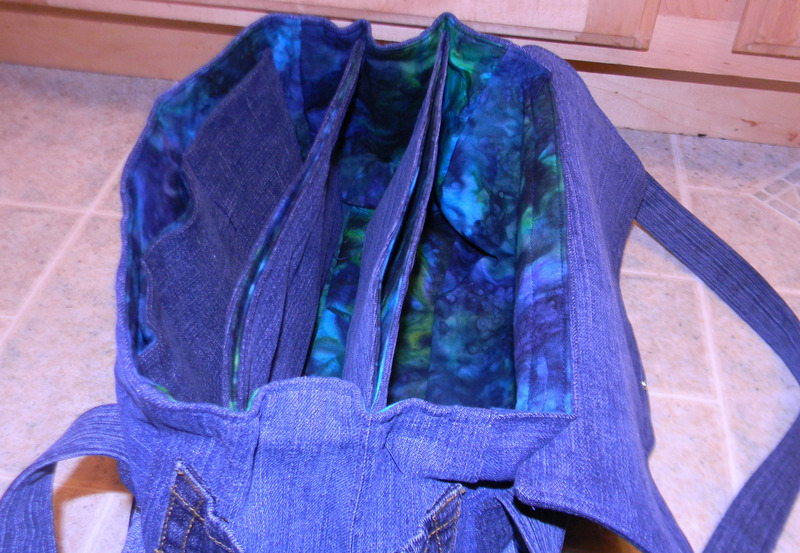 I made my purse 1″ shorter in width and used the 30″ handles. Please see my blog page for additional tips and hints. This purse took a full day to cut all the pieces and sew everything. 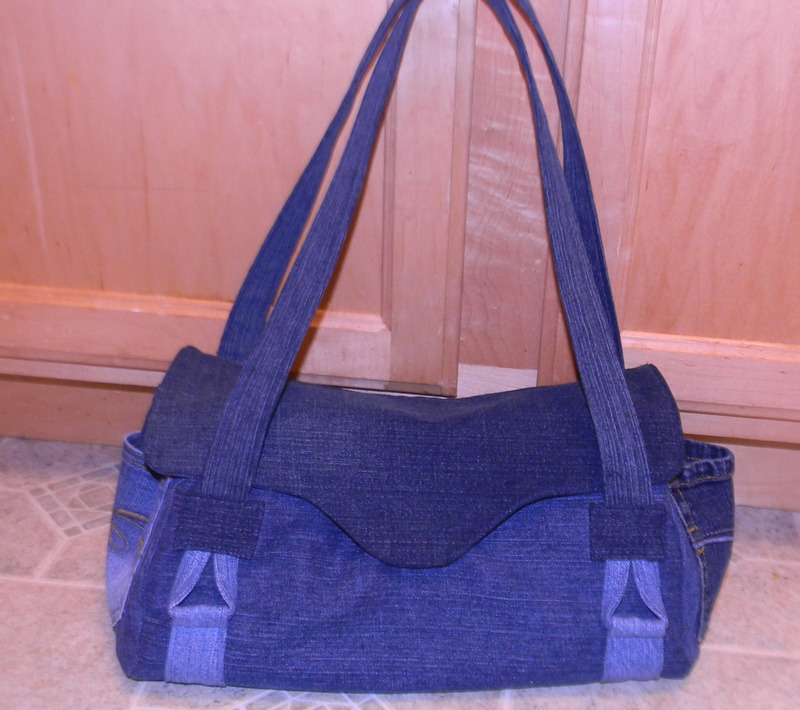 This entry was posted in Posts, purse, Recycled Jeans, Sewing and tagged Free Amy Butler Blossom Handbag, free Amy Butler Purse Pattern, free purse pattern, recycled jeans, recycled jeans purse, sewing. Bookmark the permalink. I like this one best! The other purses were nice but this one is clearly wonderful! Keo, you did a nice job on This..so attractive and functional. I’m sure you’ll enjoy it!